Council elections: Why don't people vote? Media captionCouncil elections: Why don't two thirds of people vote? People are being urged to register to vote in the local elections by 12 April, but only about a third use their ballot. What is putting them off? More than 8,000 local councillors up and down England are being elected to 248 councils on 2 May, with the power to decide and scrutinise policy and spending on everything from bin collections to protecting vulnerable children. Yet turnout in local elections has been low for years. Just over one in three registered voters actually took part in the elections in 2018 and there were some areas where it was barely one in four. In Hartlepool, just over 24% of the 70,455 registered voters returned a ballot. This includes spoiled and rejected papers. The council holds elections three years out of every four, with 11 of its 33 seats up for the vote each time. Even in the areas where turnout was highest, only one council - Richmond-upon-Thames - saw more than half of people cast a vote. And of the 10 areas with the highest turnouts in 2018, six are not holding elections this year. Why don't some people vote? 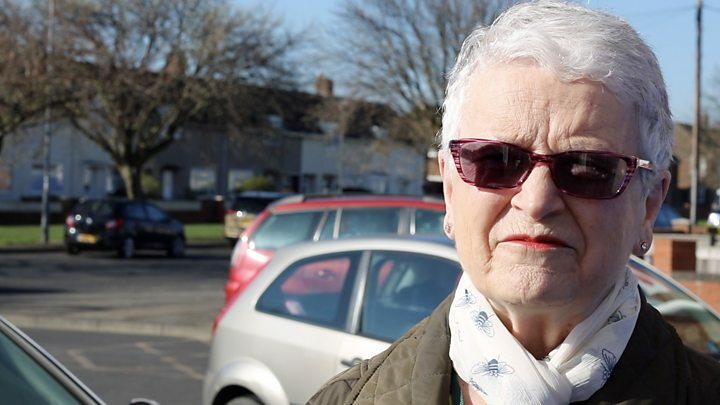 Voters in Hartlepool's Manor House ward, where just over 16% of voters turned out in 2018, told the BBC it was a mixture of apathy, a belief that nothing would change, disillusionment with national and local politics and having "no one party that sticks out"
Rachael Farrington, founder of Voting Counts - a campaign to encourage voters to register - said: "Many of the people we speak to feel there is a disconnect between politics and their everyday lives. Everyone has issues they care about, from local planning and leisure facilities to bin collections and schools, but it can be difficult to identify how local councils operate and affect these issues. "There is also little national attention paid to the role councils and councillors play in communities. While national politics continues to dominate headlines it can appear that change can only happen via Westminster - and those making decisions at a local level are neglected of the due attention, and scrutiny, they deserve." Do we have too many elections? The official data shows turnout improves dramatically when voting takes place on the same day as a General Election and people are choosing their MPs and the government. In 2017, the snap general election was not held until a month after the local elections and turnout in the council vote stayed about a third. Almost four out of 10 councils holding elections on 2 May elect their councillors by "thirds". This means they hold an election for one third of their councillors three years out of every four, rather than putting everyone up for the vote at once. Jess Garland of the Electoral Reform Society (ERS) said frequent elections where not a lot changed could put people off. "There's not one big election day where everyone comes out and there's a large buzz," she said, "but there is a lot that can and must be done to ensure every voice is heard and every vote counts." The ERS has also criticised the voting system, saying the "one-person-takes-all" system made people feel like they had to vote tactically and led to "too many safe seats". "When you have one party dominating in an area it can be hugely off-putting, with many people feeling like their votes don't count and it's not worth turning out," Ms Garland said. Michael Sani from the campaign group Bite The Ballot said: "Local government decides what they do with the money provided to them by central government. "This means it is crucial to vote in these elections in order to have a say on your local community. Voting in local elections also sends a message to the national parties that you are active and they can no longer overlook your needs and priorities." Ms Farrington added: "Your local council has an impact on many of the services you see and use every day, including housing, transport and public spaces and services. Choices made by the council will have visible impacts on your community, so engaging in local elections is the best way to have your say over who is making these decisions. "Local councils set the rates of council tax for your area, these rates have a direct impact on your income as well as the services in your area. "Councillors represent a much smaller group of people than MPs do, that means your single vote is more likely to make an impact on the result." The Electoral Commission has been running a campaign on social media to encourage people to register by the deadline of Friday 12 April, even attempting to drum up interest by using the hashtag #dogsatpollingstations, which has become popular in recent years with people sharing photographs of their dogs when they go to vote. Chris Hinde from the Electoral Commission said: "It only takes five minutes to register to vote online - time that you might otherwise spend waiting for the kettle to boil or a bus to arrive. So if you want to make sure your voice is heard, go online and register now."